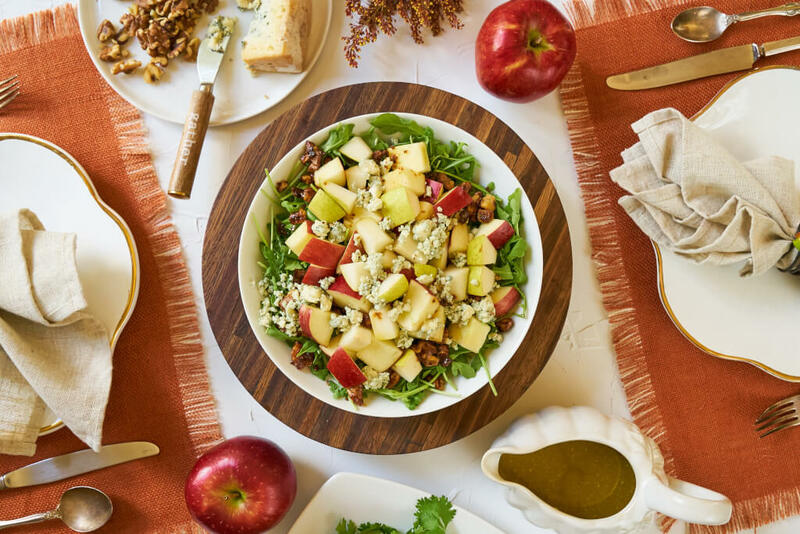 At the core of this recipe is the incredible sweet crunch of an apple that should not go underrated—the JUICI™ Apple from Starr Ranch Growers. 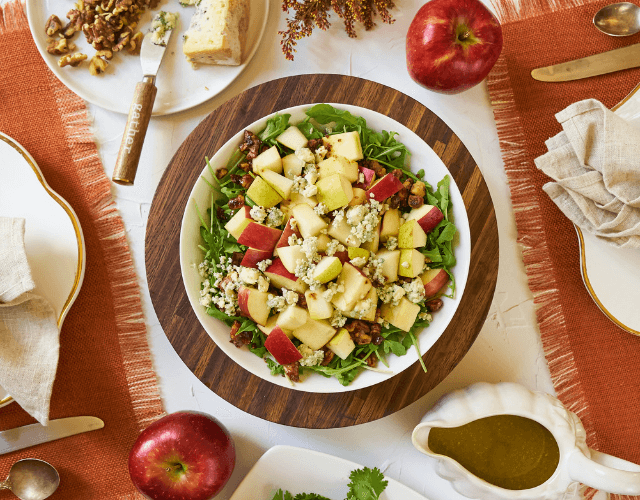 This dense and sweet apple is ‘oh so’ juicy and sure to become a fall favorite. Offering a balance of sweet and tart, the JUICI™ from Starr Ranch Growers is a thinner-skinned apple with a texture similar to that of a Honeycrisp. 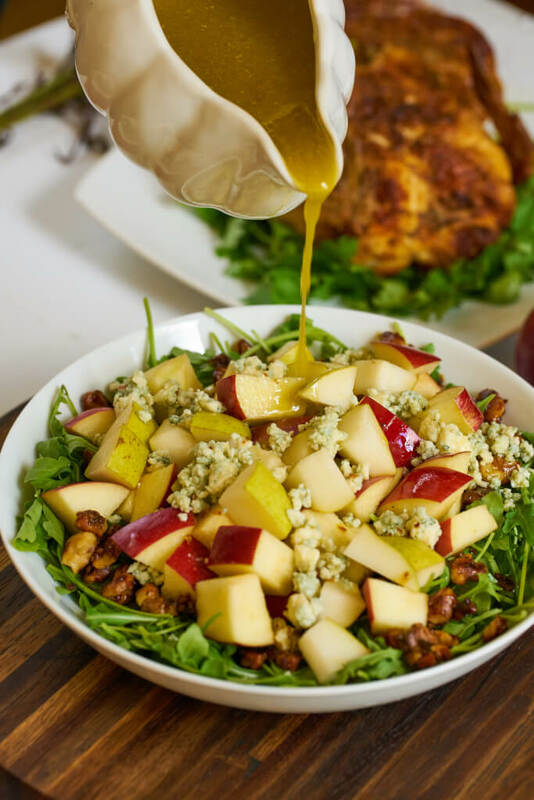 You will be pleased with this apple’s shelf life and how well it holds up in fruit bowls or salads. 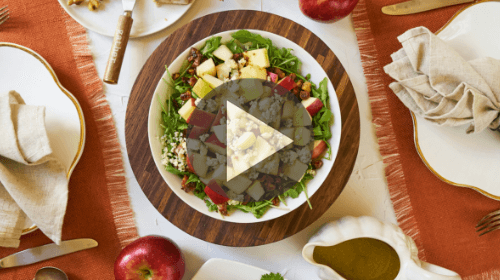 Use this sleek salad recipe for family gatherings or friendly get-togethers. 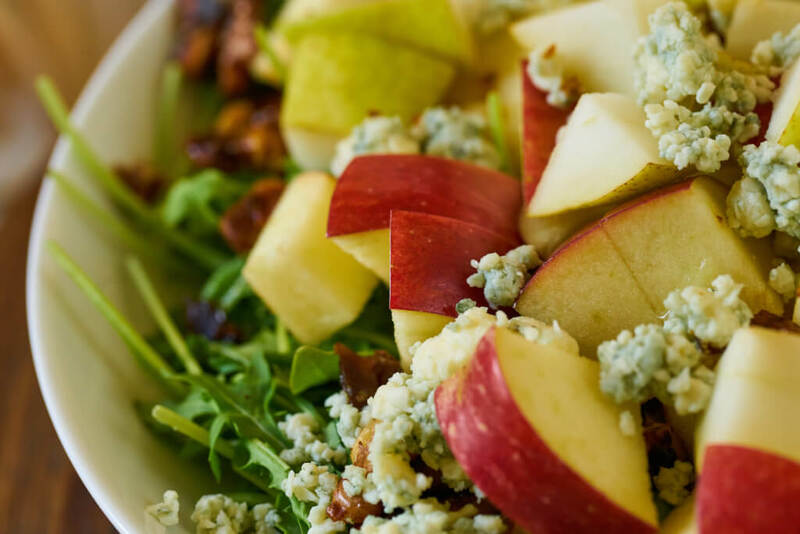 TIP: Toss apples and pears with a spritz of fresh lime juice to avoid browning. In a medium bowl combine vinegar, mustard, salt and pepper. Using a whisk, slowly drizzle the olive oil into the bowl while mixing all ingredients together. 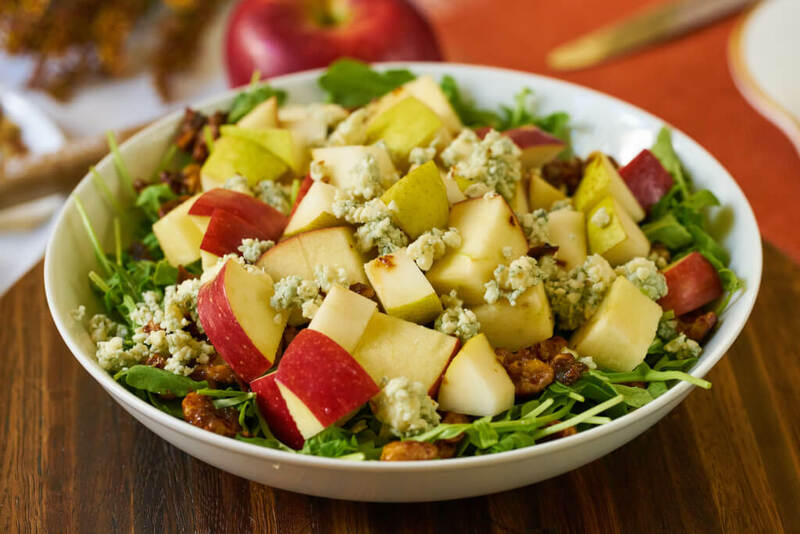 Slice JUICI™ Apple and Barlett Pears into cubes.